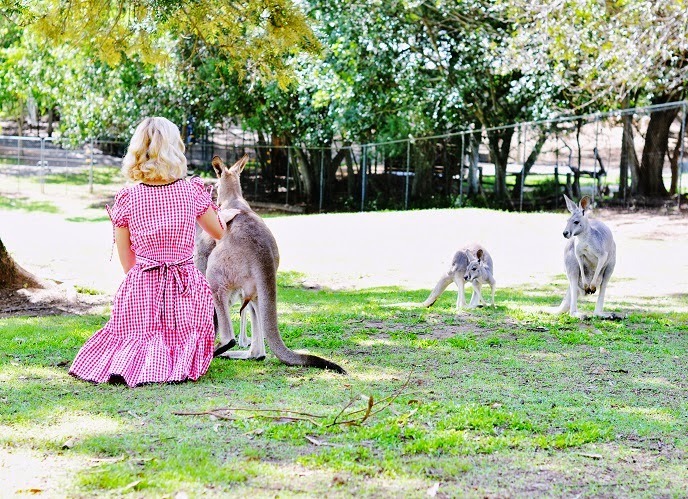 Vintage at Heart: Kangaroos and a Patio Dress! Kangaroos and a Patio Dress! Kangaroos are the sweetest, most gentle, darling creatures. As you can see they are pretty inquisitive too as they wasted no time walking up to me to check me out! I think it's fair to say that Australian native animals are some of the strangest in the world, which is what makes them so charming. Lately I have been a little obsessed with 50s style patio dresses and looked at all of the vintage reproduction brands to see if any of them had made anything similar. This Hell Bunny dress is pretty close I think, or at least as close to this style as I have been able to find among repro. While this isn't a true patio dress, the tiered skirt is still quite similar to that of patio dresses, the gingham and the black rick rack is absolutely irresistible! omg omg so many and sooooo cute!! Oh my gosh! How adorable is this! They look so sweet! And how lucky you are to hang out with them! Your dress is just as cute as the kangaroos too! I think this might just win, if there was an award for such, in the category of cutest vintage outfit photo shoot ever!!! Oh my goodness, I actually squealed aloud to myself when I saw all those heart meltingly adorable kangaroos. Love your dress, too, of course, it's the star of the show in its own right as well. Love patio dresses and OH MY GOD. THE KANGAROOS!!!! I want to meet them!!! Oh, how wonderful! 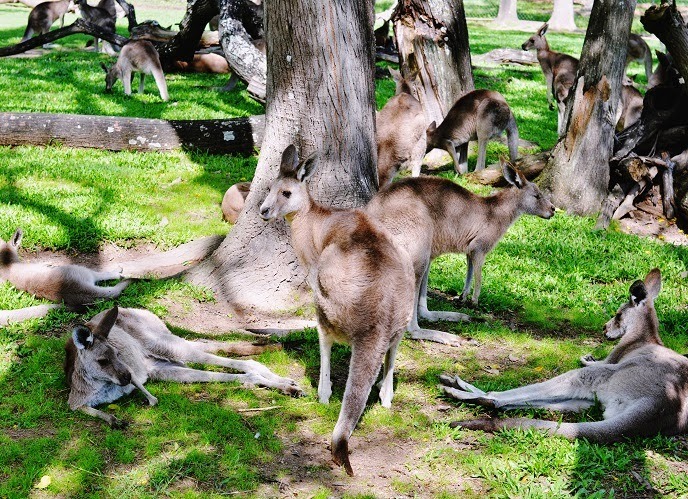 I have only been fortunate enough to see kangaroos in a zoo, but to pet one would be a dream! They are such beautiful animals. You are beautiful as well! That dress is a dream and the black ribbon detail along the neckline and hem is just so charming. 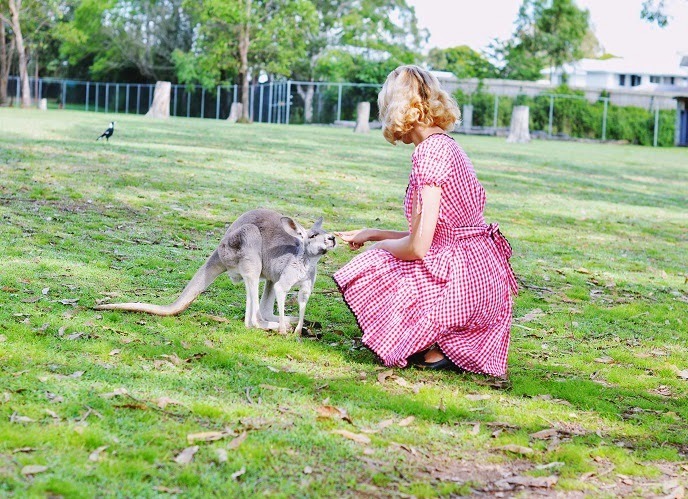 I don't know which is more adorable - that dress or those Roo's!! Hello there,Ciao...lovely photos and your dress is charming! Ah, you are such a 50s daaaarling! This dress was just made for you. I adore the pattern and the puffy sleeves. 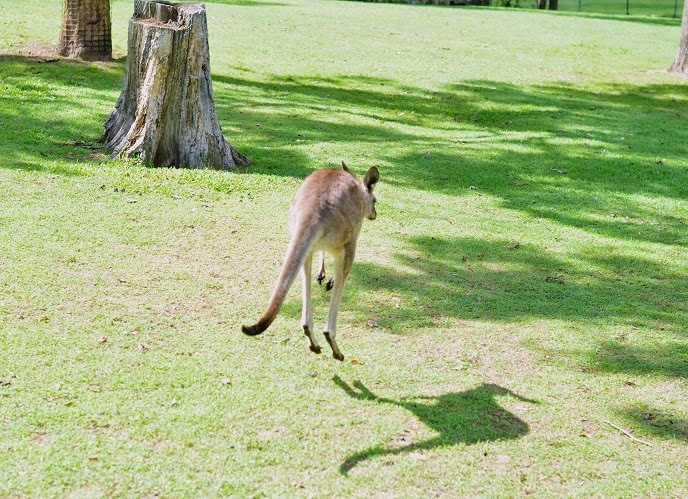 Also, kangaroos, how cute!! This post is just 100% precious. i'm so in love with patio and square dance dresses. yoor patio dress totally hits the nail. what a fun and summary piece!!!! big love!